Honda’s new Bluetooth® Phone System allows you to stay within reach of your family and the office while on the road. Connecting your mobile phone(s) to the radio unit, HFT Bluetooth® uses the car’s speakers to create a hands-free and wireless telephone system. Not only is this safe and easy to use, it also blends in perfectly with your car’s interior design. 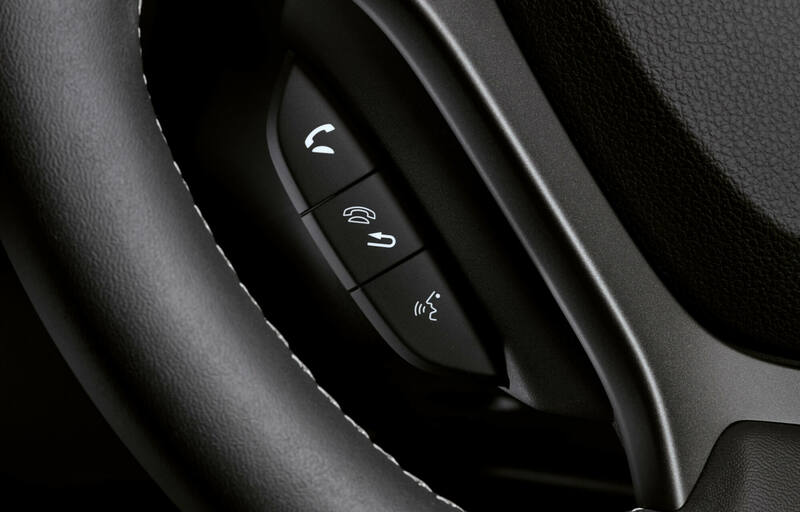 A turn-and-push button allows you to navigate through the menu on the display, the display and turn-and-push button are within hand’s reach for optimal usability. Specifications of Honda’s Hands-free Telephone Bluetooth® No need to look at the phone while driving. All incoming calls are visible on the display. The display shows last dialed, received and missed calls and automatic connection. A Bluetooth® compatible mobile phone is required! To receive or make calls, the mobile phone must be inside the vehicle. Before using for the first time, you must pair your mobile phone with the Bluetooth® control unit. See your Honda Bluetooth® manual for more information.